Reform is not going to be easy, but if the public is to maintain its respect for the police, change is vital. Prosecutions of police who are accused of Criminal Code violations must be reviewed well up the chain of command at the Ministry of the Attorney General with a view to toughening penalties, writes Enzo Rondinelli. For far too long, police forces have clung tenaciously to a specious rationale for going easy on officers who break the law. The way they see it, public support for police will not waver as long as citizens remain unaware of lenient penalties meted out to lawbreakers within the ranks. Well, that reasoning has just gone out the window. Thanks to a groundbreaking Star expose about what happens — or doesn’t happen — to officers who breach the laws, the public is now aware that disciplinary action is almost always timid and inadequate. Equally shocking, senior officers say they are powerless to impose more fitting penalties on account of lax case precedents and the modest range of penalties that are available. Human nature being what it is, we are not going to see an end to officers misusing private information, visiting prostitutes on company time, assaulting their spouses or driving while impaired. So, the pressing question becomes: Will the status quo of indulgent wrist-slapping be replaced by discipline that carries a genuine sting? It is an incontrovertible fact that police are invested and entrusted with extraordinary powers. They are able to gain easy access to extremely sensitive records and documents. They can stop your car, search your home or take you into custody. With these sorts of powers at their disposal, officers who lie, flout the law or abuse their authority strike at a vital public trust. Imposing discipline within a profession is a tricky exercise and police are not the first to fail the test. The medical and legal professions have rightly come under steady fire for wielding a blunt sword against doctors and lawyers who misconduct themselves. However, the difficulty of the task provides no excuse for failure. It is beyond worrisome to hear senior officers and police chiefs say their hands are effectively tied when it comes to imposing harsher penalties or ridding their forces of aberrant officers. Punishments typically run a deplorable narrow gamut from a reduction in salary level to docked pay or a paid suspension. 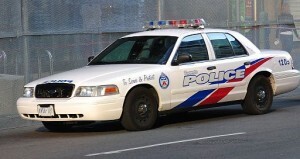 Toronto police, to give one dispiriting example, have been docked an average of just 20 days’ pay in punishment for drinking and driving offences. If the underlying rationale of punishment is to deter bad behaviour, it isn’t working. Star reporters found many repeat offenders are still out there sporting a badge. Even more alarming, some officers stopped on suspicion of committing an offence have attempted to cajole their way out of trouble by invoking the brotherhood of the badge. We will never know how many times a fellow officer has succumbed to this pressure and let a confrere off scot-free, shielding an unworthy colleague who shamed the badge. However, what we do know is that, this immoral flouting of the law transmits an unmistakable message that police are above the law they are sworn to uphold. Prosecutions of police who are accused of Criminal Code violations must be reviewed well up the chain of command at the Ministry of the Attorney General with a view to toughening penalties. When it comes to disciplinary action outside the criminal courtroom, tribunals headed by senior officers have been found seriously wanting. The province must therefore act to ensure there is an independent, external mechanism to hear these cases. Police cannot sit in judgment of one another without creating a perception of potential bias. Given the apparent inability of police administrators to impose suitably severe penalties, provisions in the Police Services Act must be overhauled and strengthened. 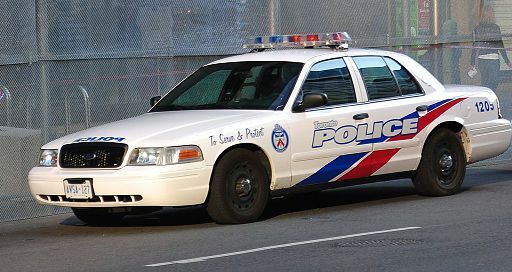 In addition, the Ontario Civilian Police Commission must either cease softening so many penalties or be replaced by a less indulgent appellate body. As a first and easily achievable step, the province can amend the Police Services Act to suspend officers without pay after a charge is laid. The days of lengthy paid leaves lasting months or years prior to a conviction and sentence must cease. Finally, public scrutiny is indispensable. Journalists and police watchdogs should not have to wait months for freedom of information requests to bear fruit. Statistics and disciplinary decisions should be made publicly available by all police forces. The secret is out. The public are watching. 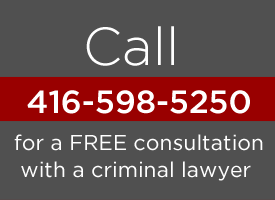 Enzo Rondinelli is a Toronto-based criminal defence lawyer and an Adjunct Professor at Osgoode Hall Law School. He is also the Treasurer of the Ontario Criminal Lawyers’ Association.